What Is The Cap Rate On That Minneapolis Duplex? | Your best resource for buying, selling, owning and investing in duplexes and duplex homes. What Is The Cap Rate On That Minneapolis Duplex? 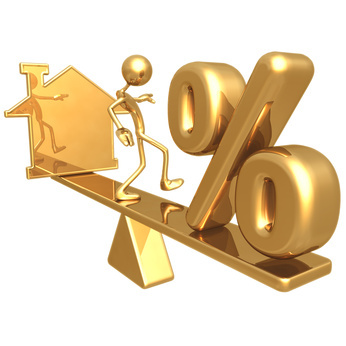 Whether you’re interested in investment property or simply happen to scan an ad for an income-producing property, odds are good that sooner rather than later, you’re going to hear the term “cap rate” or “cap”. A cap rate, or “capitalization rate” is simply the ratio between the net operating income a property produces, and the original price paid for the property. To determine the net operating income or NOI, simply take the gross revenue a building produces and subtract all of its expenses except the mortgage and depreciation. Then simply divide the NOI into the price of the property. For example, if a building has a net operating income of $10,000, and it could be purchased for $100,000, it would have a cap rate of 10. $100,000/$10,000 = 10. There are several ways of looking at a cap rate. One perspective is that it is simply a measure of how fast an investment will pay for itself. Using the property above as an example, the purchased property will pay for itself, or be “fully capitalized” after 10 years (100% divided by 10 percent). If the cap rate were 5 percent, it would take 20 years for the property to be paid off. Another way to view the cap rate is how much return the building would provide if it were completely paid off. The 10 cap would be ten percent of the purchase price, which, compared to a savings account, is a nice return. How can the cap rate be helpful when looking for investment property? Like the gross rent multiplier, it is a way to quickly compare with another in terms of which is a better investment. In many ways, however, the cap rate is a better measure of the ultimate return on your investment, simply because it takes expenses into account as well as revenue. In short, the bigger the cap rate, the bigger the return on your invesment. A couple of cautionary notes here, however. Always ask yourself why a seller is getting rid of a property with such a high rate of return for so little money. The answer can usually be found in the challenges a property presents: high vacancy, poor management, or the nature of the property is such that it requires a great deal of hands-on management. Also, when considering small multi-family properties such as fourplexes or duplexes, know that big cap rates are highly unusual. There are two reasons for this. First, due to the ability of many owner-occupants to purchase these properties using an FHA loan, there are more potential buyers for them than there are larger, commercial properties that require a 20 or 25 percent down payment. As a result, the average sales price of these duplexes is higher in relation to revenue than that of say, a 50 unit apartment building. Second, because there are fewer units, there is of course, less revenue. While a cap rate can provide a quick, useful assesment of a property, as always, stop and do all the math before you make any decisions. Doing so is often the difference between a good investment and foreclosure.